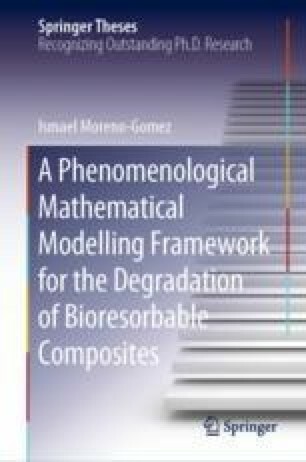 This chapter discusses the development of computational degradation models for different bioresorbable composite materials. The models were developed in a two-stage process. Firstly, a general modelling framework was generated and analysed and secondly, this general framework was particularised for specific ceramic fillers yielding the degradation models. Bergwerf, H. (2014). MolView online application. Retrieved September 1, 2016 from http://molview.org/.